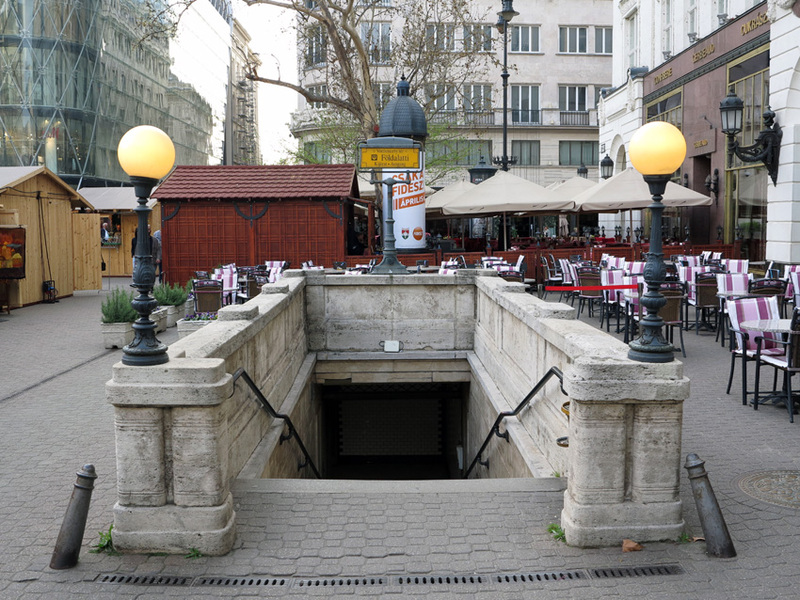 When line M1 was opened in 1896 between Vörösmarty tér in the centre and Széchenyi fürdõ it was the first electric underground (Földalatti) line on the European mainland. 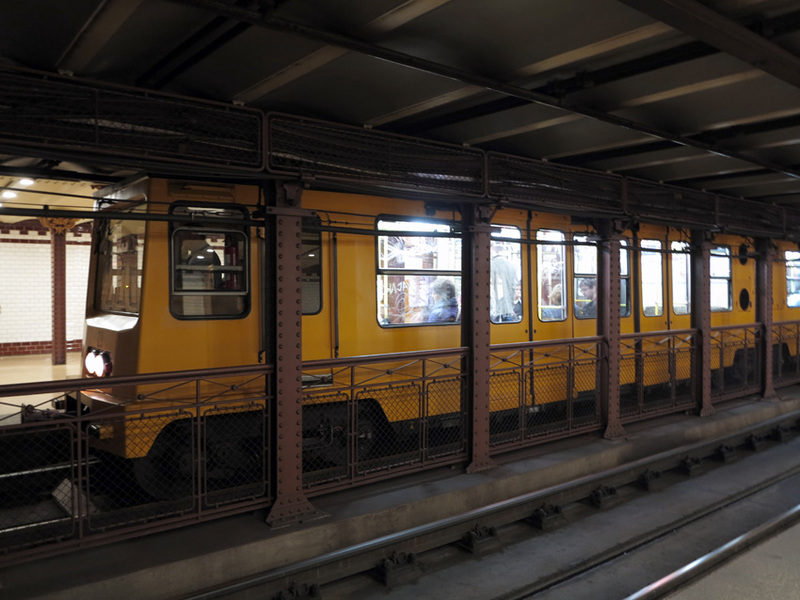 It was classified as an underground tram line until metro line M3 was built, when this line was named M1. 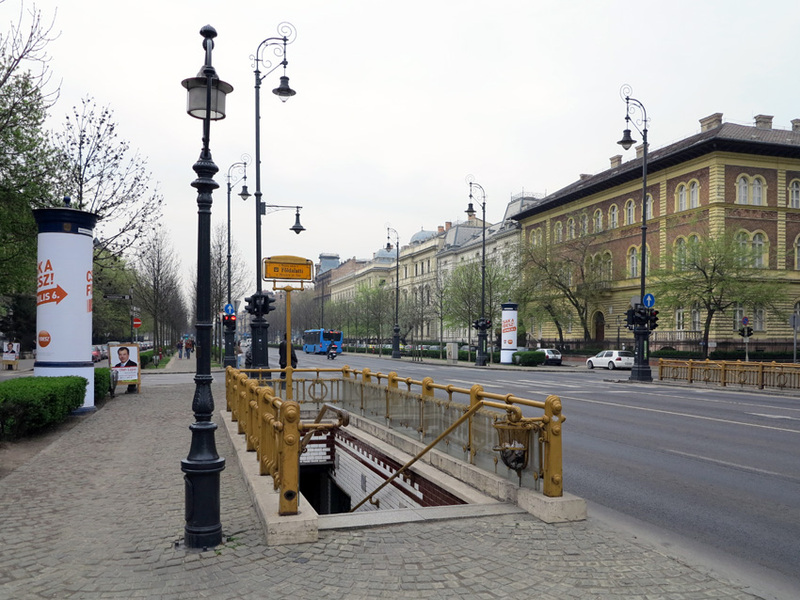 The primary reason to build the Földalatti was that in those times Budapest had a very classical look and the city government did not allow the construction of a tram route on Sugár street (now Andrássy street). 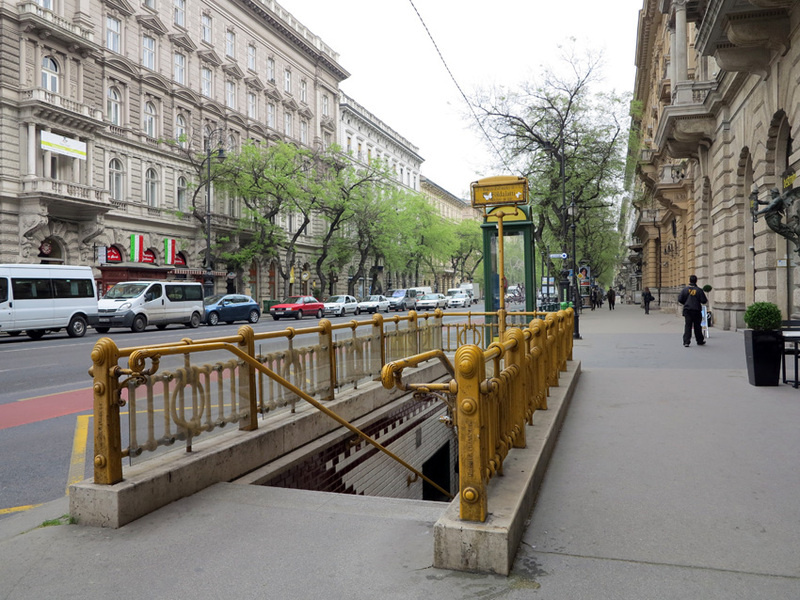 It was the idea of Mór Balázs, the leader of the tramway authority, to build this tram line underground. 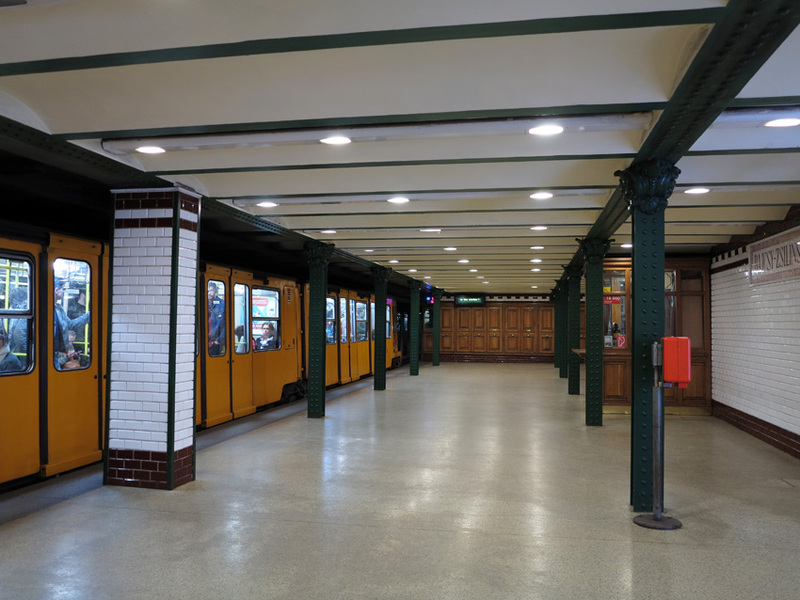 The contract was awarded to Siemens & Halske and demanded the underground line to be finished for the 1986 Millennium Exhibition. 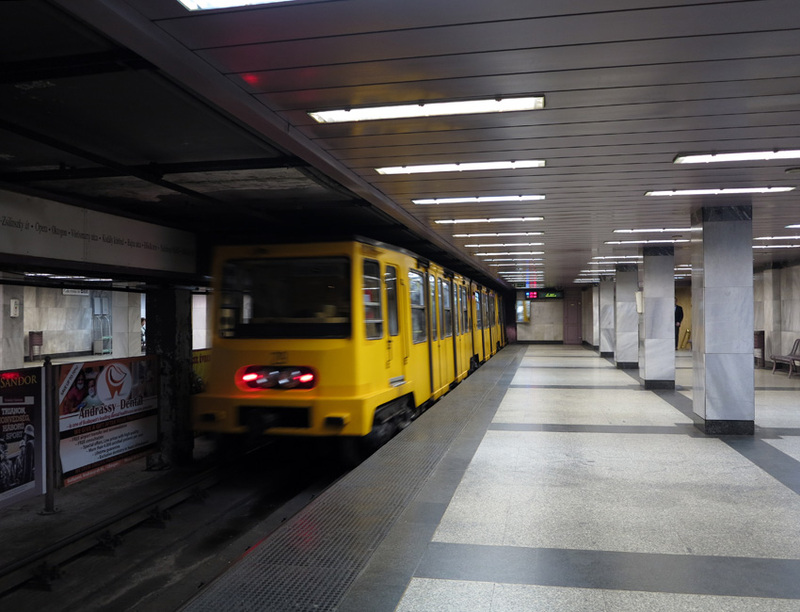 It was therefore called the "Millennium Underground Railway" (MFAV). There were only 20 months to build it. 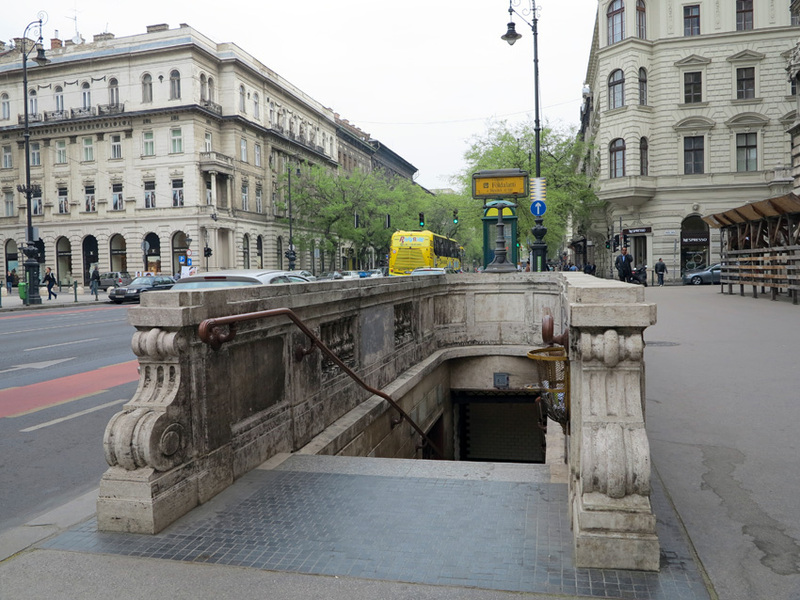 As it had to cross the main sewage collector at Oktogon by passing over the canal, the height of the tunnel had to be very limited. 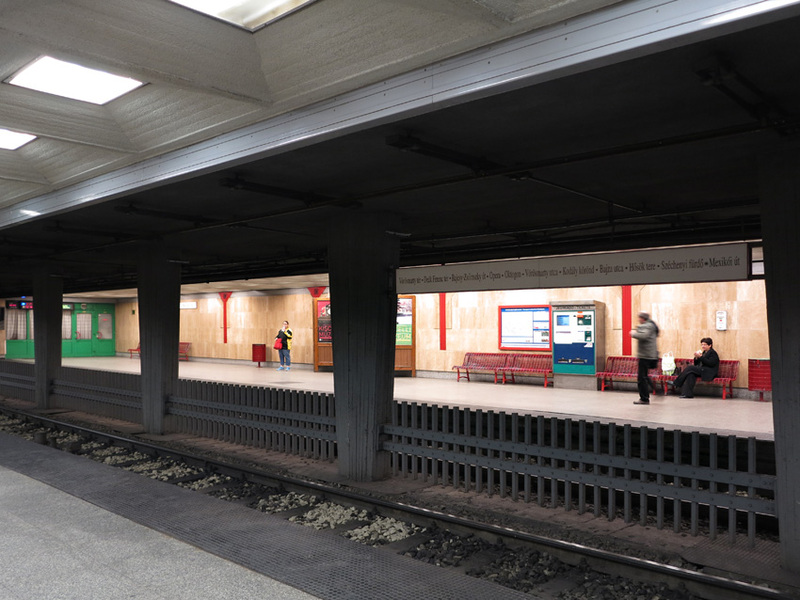 Siemens & Halske delivered the first 20 trains which ran until 1973. There were 10 made of steel and the other 10 made of wood. 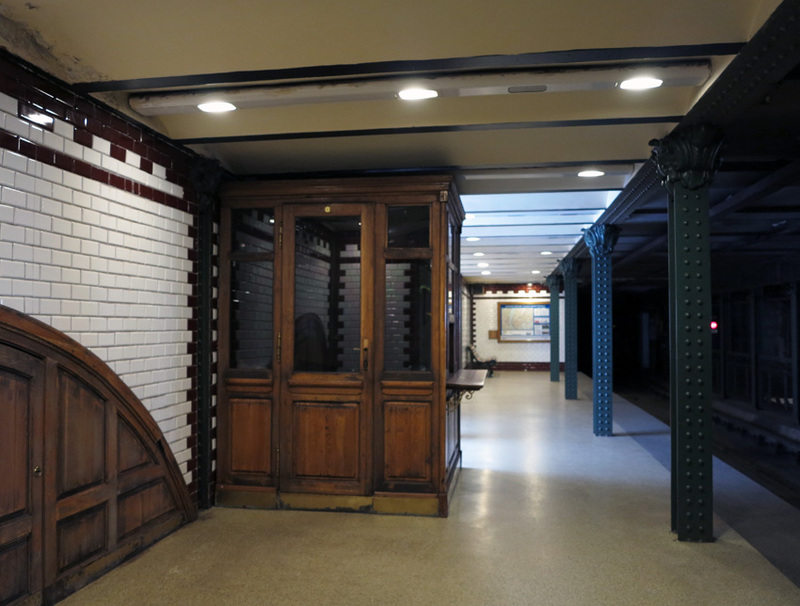 They had driver cabins at both ends of the trains. There was also a royal train (number 20). 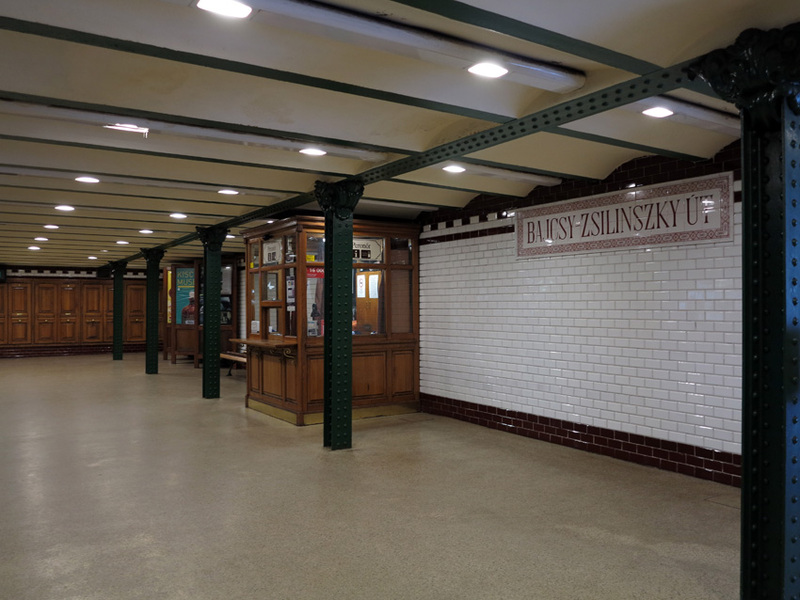 When the Austro-Hungarian Emperor József Ferenc (Franz Josef) visited the line he used the royal train between Gizella (Vörösmarty) square and Állatkert (Zoo). 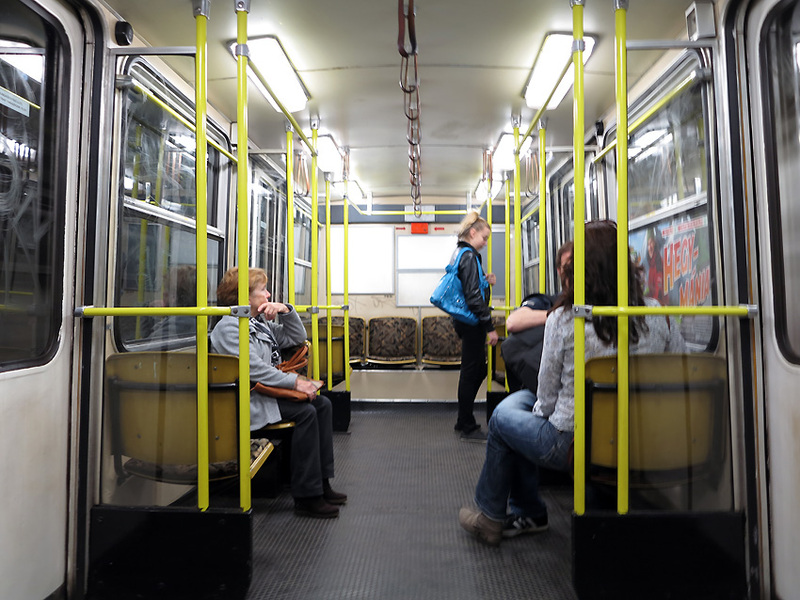 He "granted permission" to change the former name "Budapest Underground Electric Public Road Railway" to "József Ferenc Underground Electric Railway". During the Austria-Hungarian Monarchy there was only one more occasion when this car was used, when the German Emperor William II escorted the Hungarian king. It ran occasionally until 1937, and after the WW2 until 1955 but then it was scrapped. 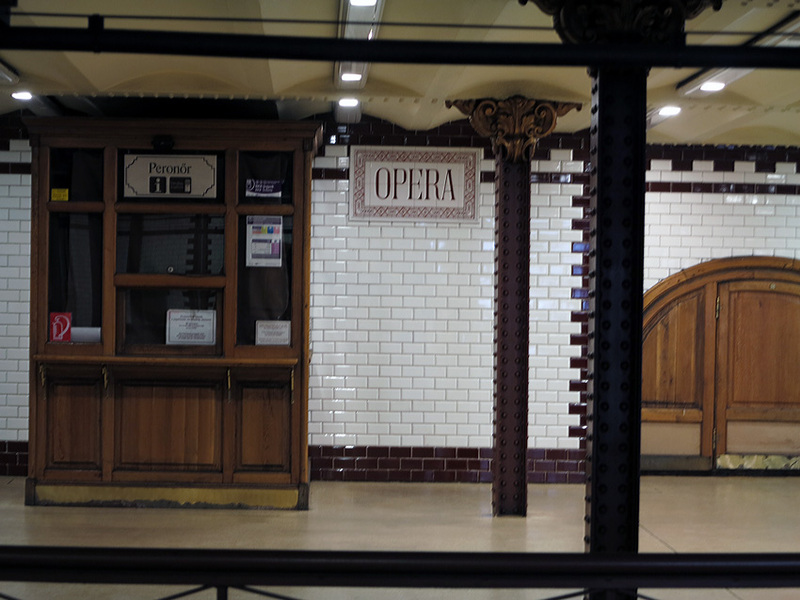 All underground stations had beautiful entrance pavilions in secession style except at Opera station. 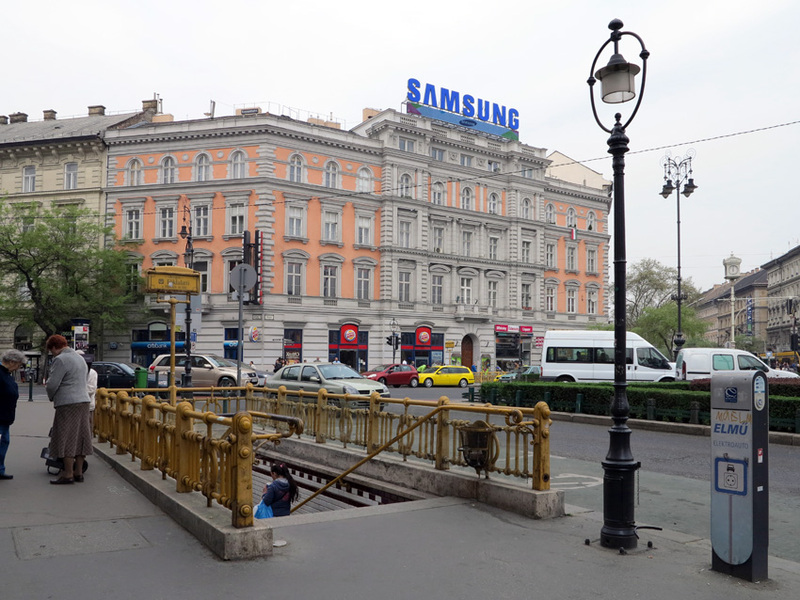 There was a larger one at Deák Ferenc square with a surface of 100 m2 and small shops in the middle. 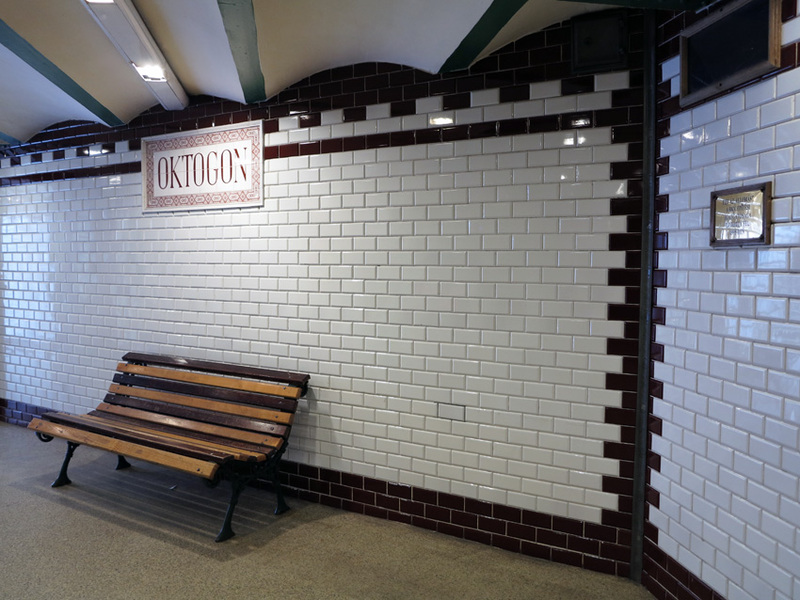 In the 20th century the city leaders thought that these are too fancy and started to remove them. 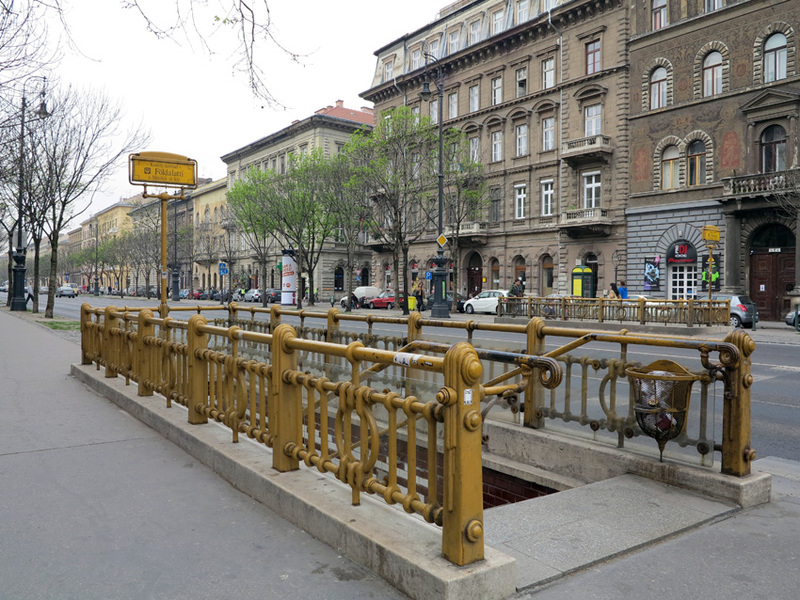 First from Gizella square in 1911 and last from Deák Ferenc square in 1925. 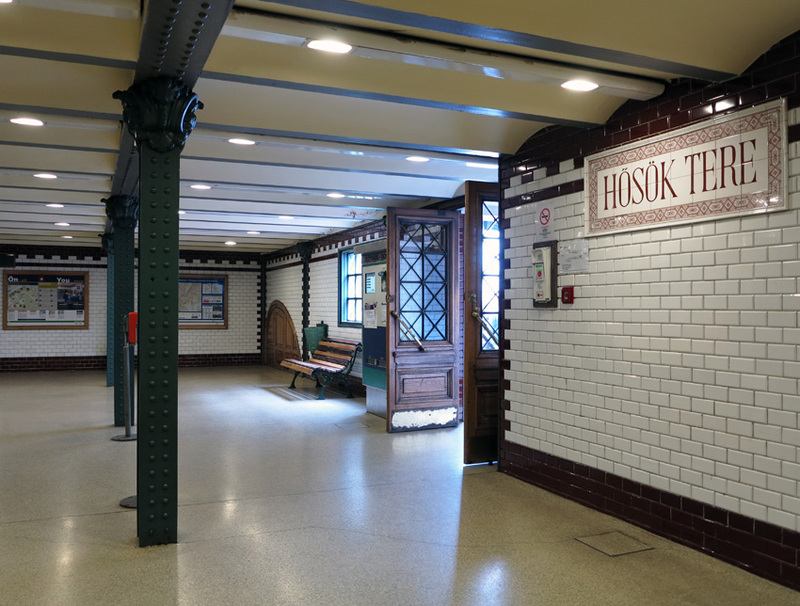 Because of the increasing traffic from 1915 there were plans for new trains and new lines with similar parameters and design. This was never realized because of the economic situation and World War I. 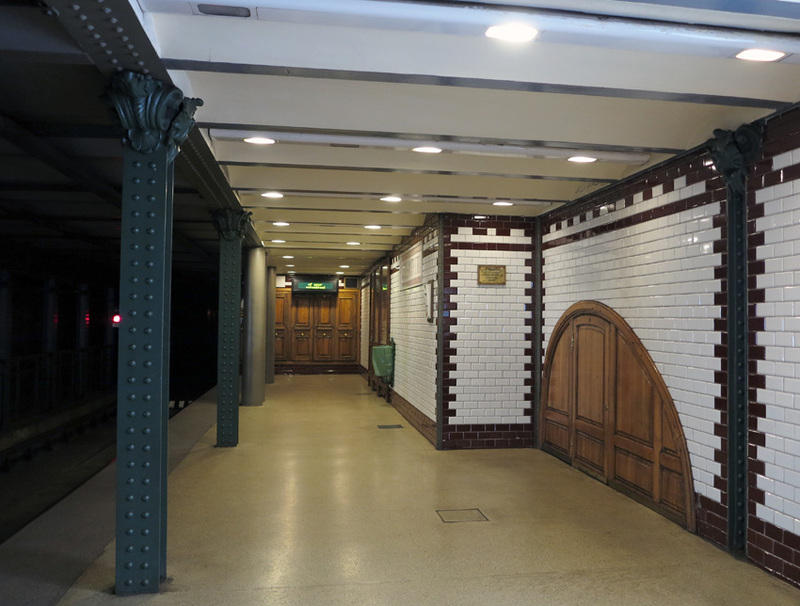 During WWII the tunnel and the stations were used as shelters. Until 1973 there was a surface section of 463 m through the city park. 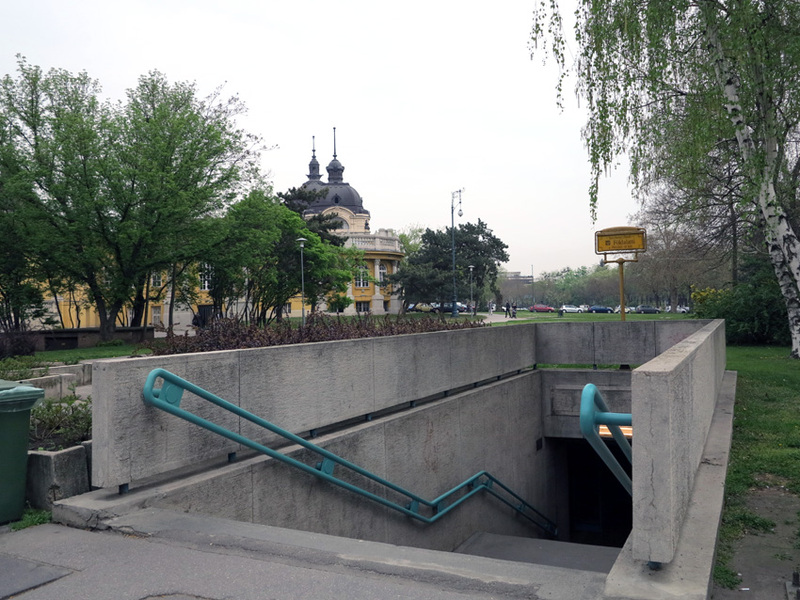 At that time the underground section was 3226 m. There was a curve in the surface section along the city park lake, and halfway along this curve there was the Állatkert (Zoo) stop. 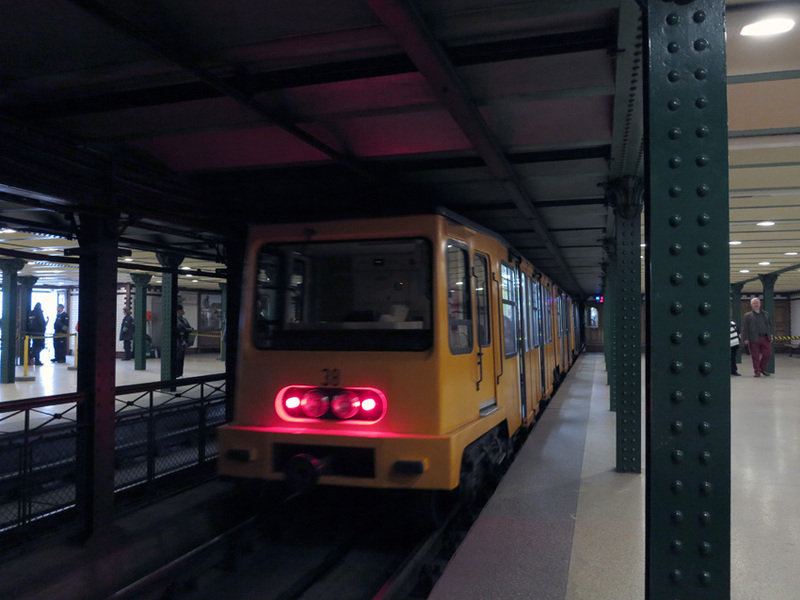 There was another surface stop at the end of the line at Artézi fürdõ. The depot was close to Hõsök tere at Aréna út. 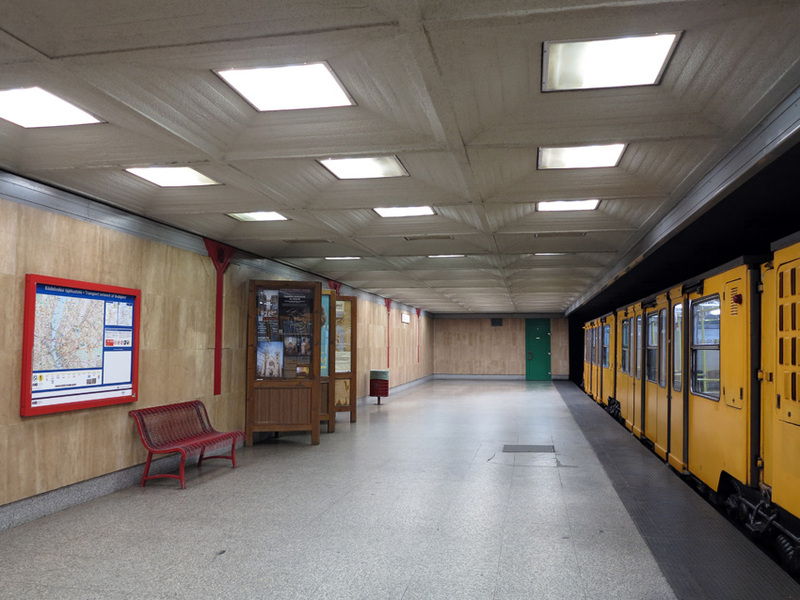 Until 1973 the line was operated on the left side. 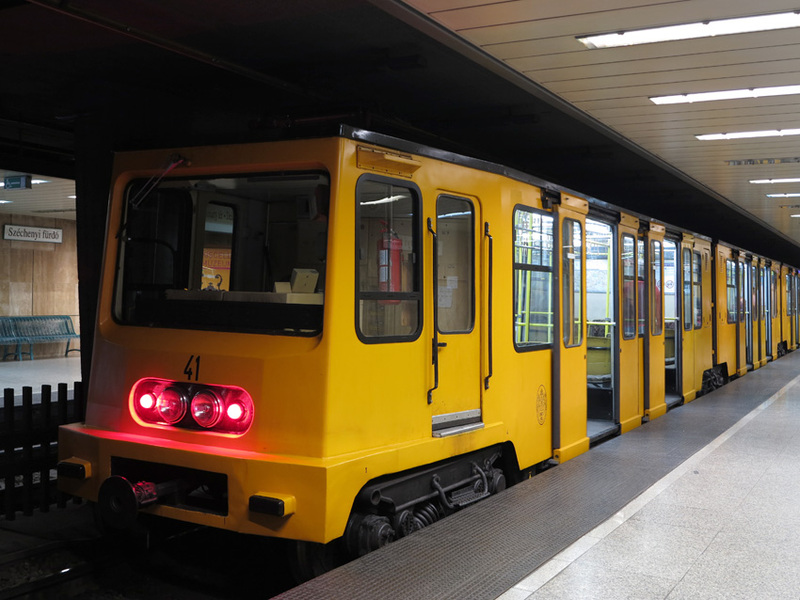 In 1973 new trains were made by Ganz. These are 30 m long and consist of three sections. 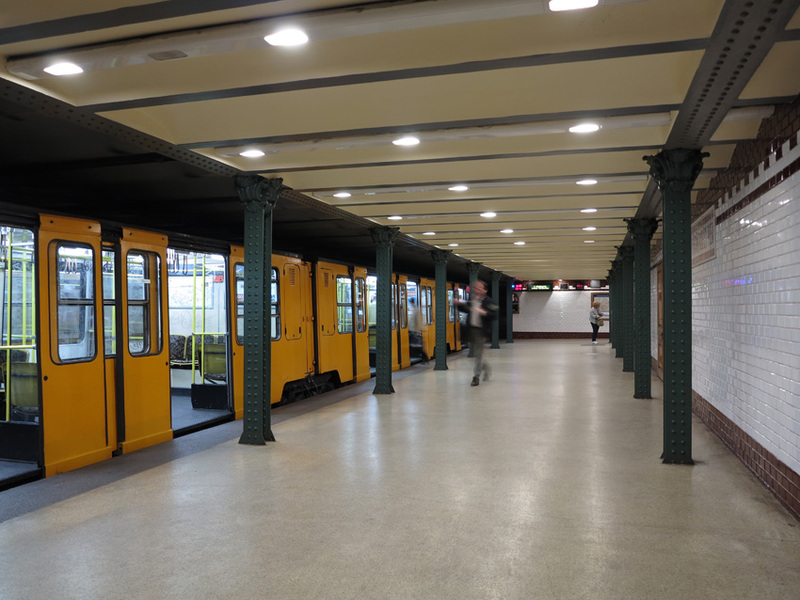 At the same time, the line was extended to Mexikói út, now totally underground. The surface section was buried, with the line now running below the city park lake. On top of the tunnel there is a pedestrian bridge. 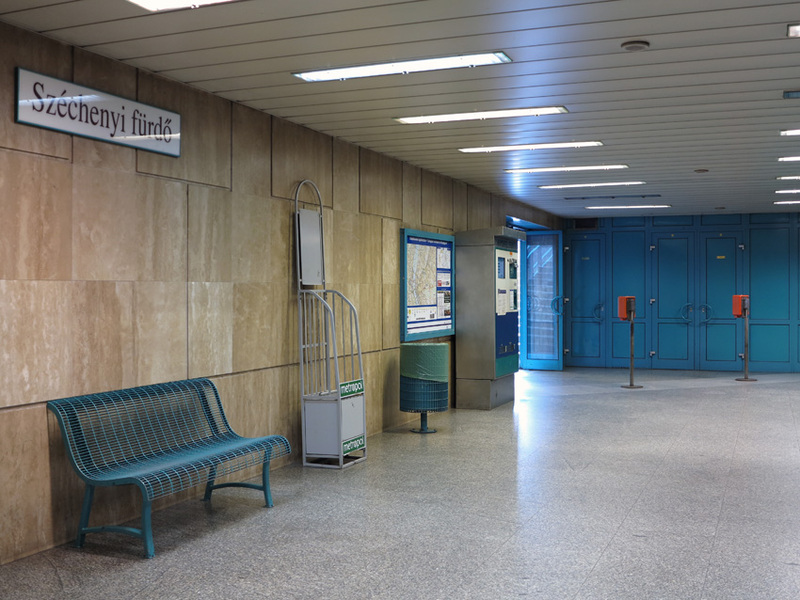 The stop Széchenyi fürdõ is located at a different place from the former terminus (almost at the entrance of the bath). 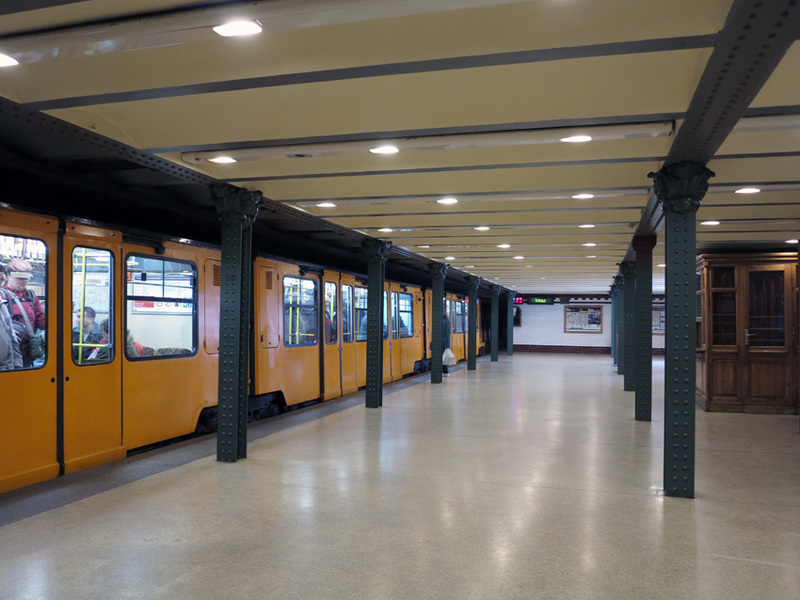 Deák Ferenc tér station was rebuilt to link the line to the intersecting metro lines. 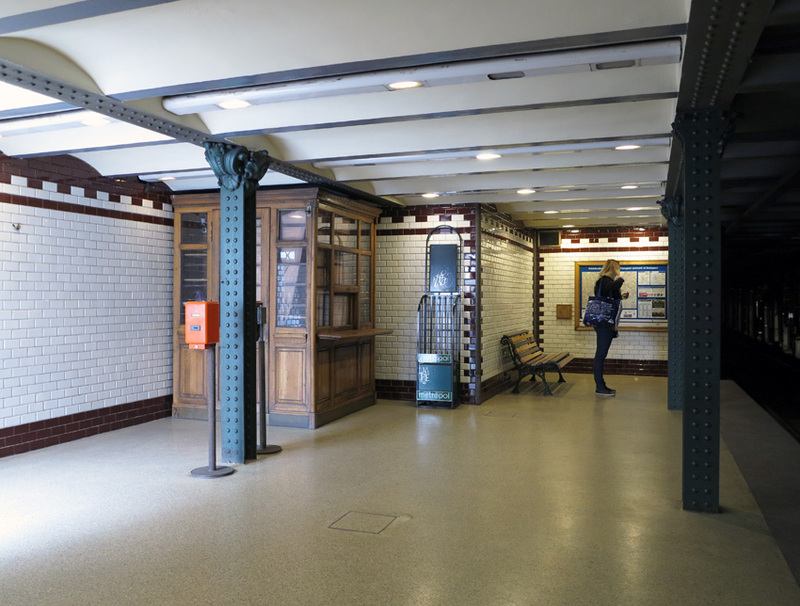 One half of the old station is now home to the metro museum, while the other half was buried. 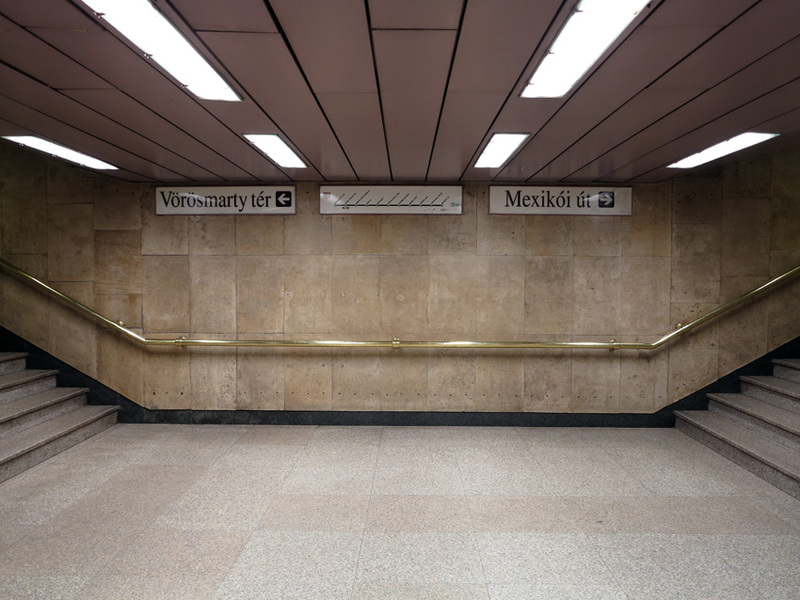 The three new stations (Deák Ferenc tér, Széchenyi fürdõ, Mexikói út) boast designs typical for the socialist period. 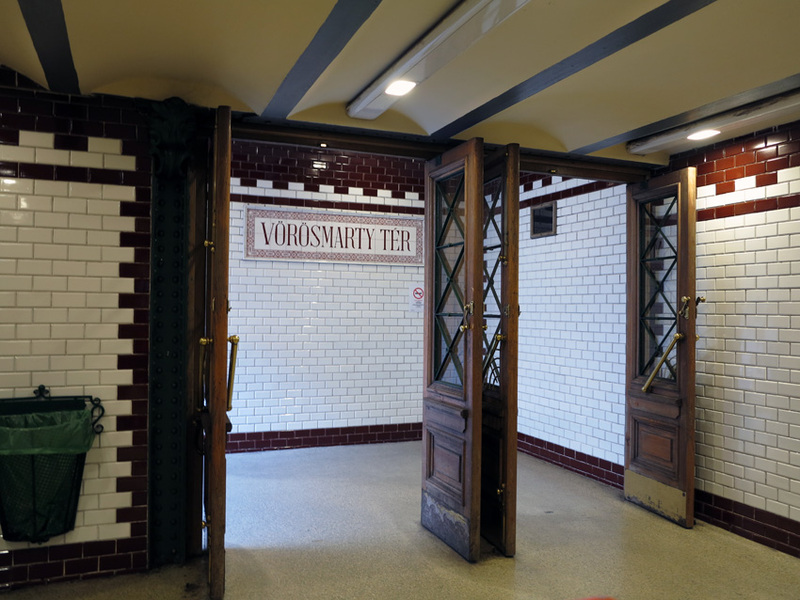 Vörösmarty tér station was also modified, but in 1996 it was rebuilt in its original style. 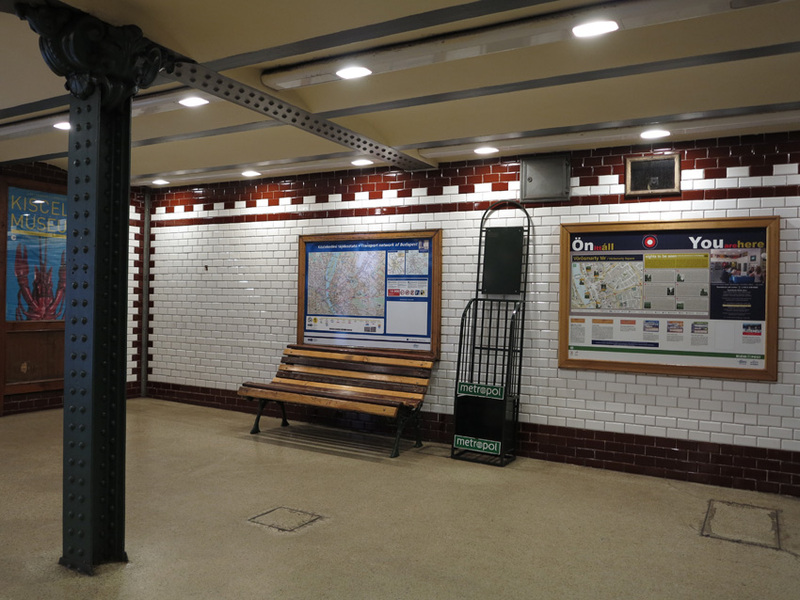 The three shortest stations were extended, which can be distinguished by grey plain columns instead of the classical columns. A new depot was built at Mexikói út in 1973. 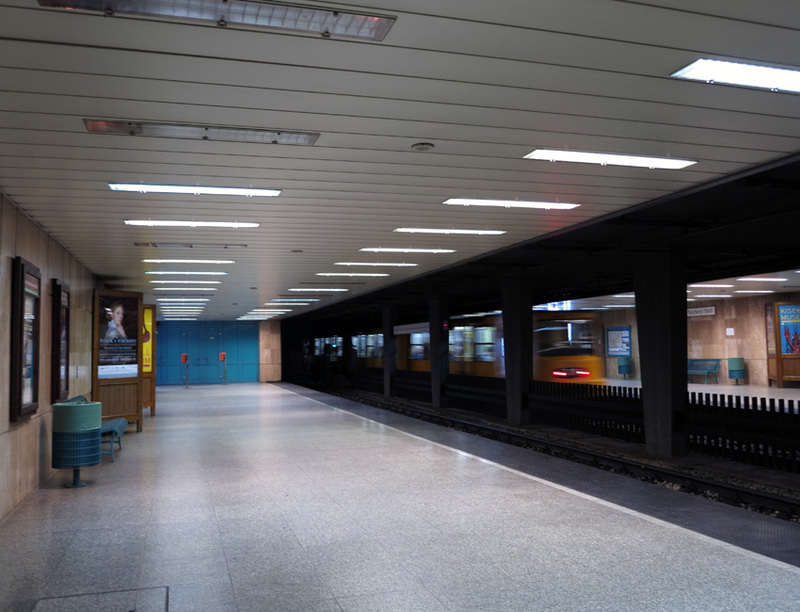 The length of the new underground section is 1233 m, and the new stations were built 35 m long. 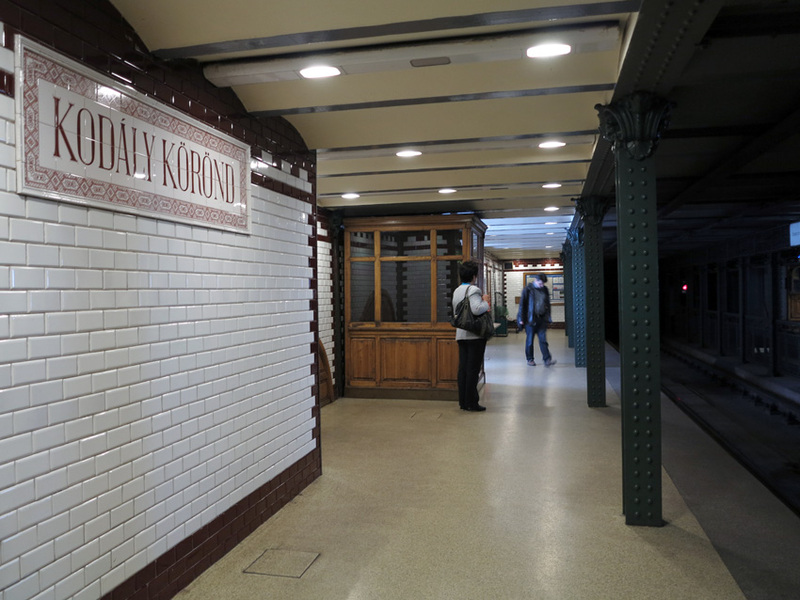 Originally there were decorated patterns on the station walls, but all of them were removed in the socialist era. 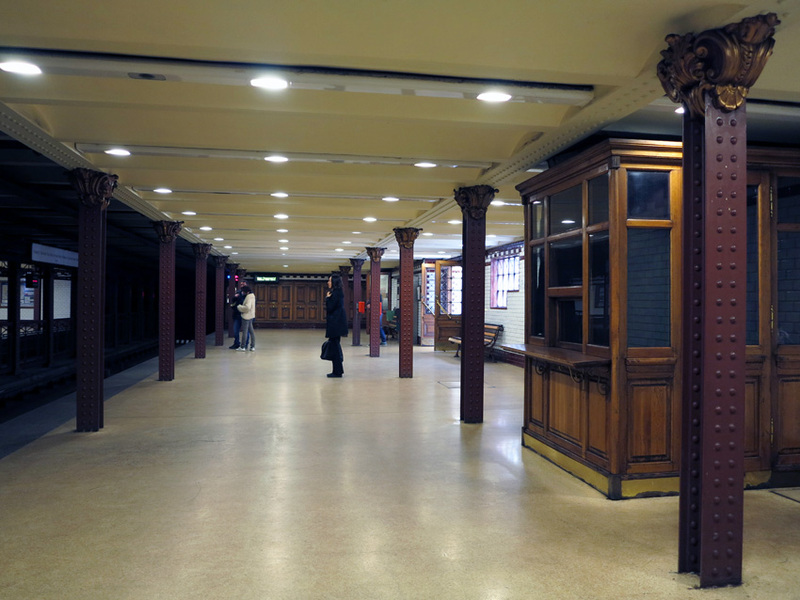 For the 100th Anniversary in 1996, all the stations were restored and once again boast their historic splendor.